In 2009, the need for renovation/expansion became apparent for the Roger Scott Pool in Pensacola, Florida. 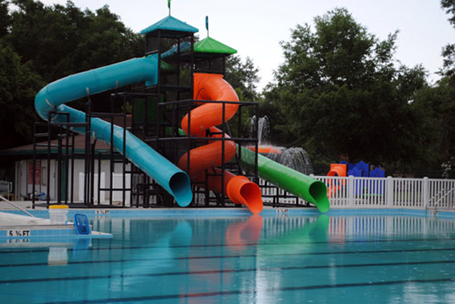 City officials retained Counsilman-Hunsaker and the architectural firm, PBS&J, to transform the existing municipal swimming pool into a more family-focused aquatic center that would give guests a reason to visit time and time again. The resulting facility creates a fun and attractive environment with approximately 7,000 sq. ft. of water. Three tunnel slide addition to the 5,000 sq. ft.